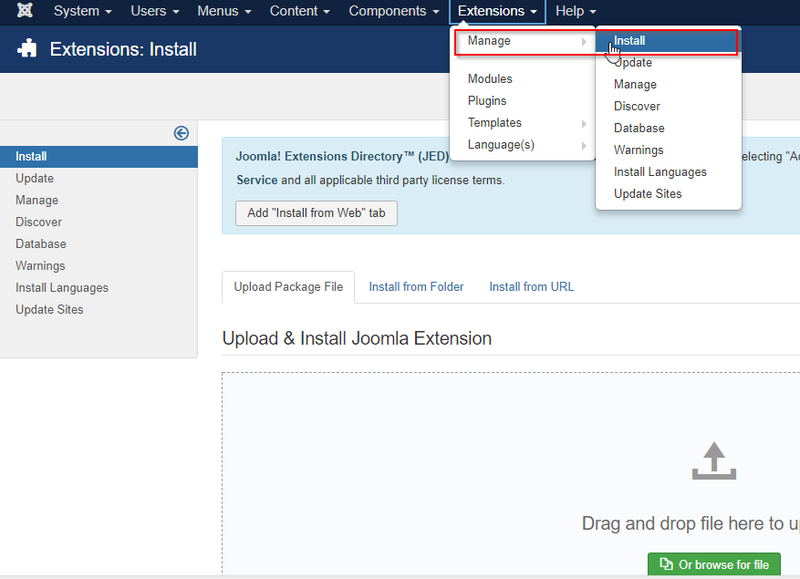 Email verification for Joomla Registration page.Enterprise grade. Active Support. Custom SMS & SMTP Gateway. 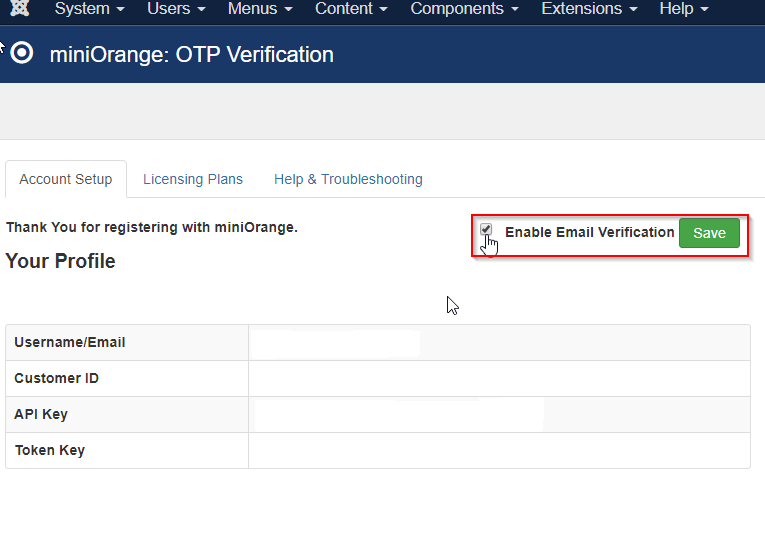 OTP Verification plugin verifies Email Address of users by sending verification code(OTP) during registration. It removes the possibility of a user registering with fake Email Address. This plugin checks the existence of the Email Address and the ability of a user to access that Email Address. Unlimited OTP Generation and Verification through the plugin. Verification of user's Email Address during registration is a must these days. But what if you do not have your own SMTP gateway? With our plugin, it's not necessary to have your own SMTP gateway. You can use our gateways to send OTP over Email. Each Email is verified for it's authenticity by miniOrange servers. You can use your own SMTP Gateway. Easy and hassle free setup. No SMTP gateway configuration required. You just need to choose your registration form and you are good to go. Verification of user's Email Address during registration is a must these days. But what if you do not have your own SMTP gateway? With our plugin, it's not necessary to have your own SMTP gateway configuration. OTP over Email is sent using our own secure SMTP gateway. Additionally, each Email is verified for it's authenticity by miniOrange servers. Our plugin easily plugs into your existing form to validate your user's Email Addresses during registration. If an account already exists, you will be asked to login to your account. Search for OTP in plugins. 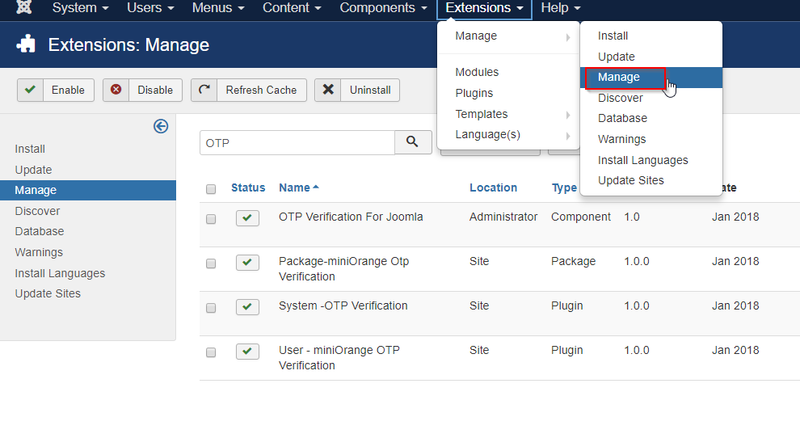 Go to Components > OTP Verification For Joomla. miniOrange Authentication and Single Sign on products have ready integrations with number of leading providers, these ready solutions allow enterprises quickly increase security of information and resources without worrying about time for initial set up or future upgrades. 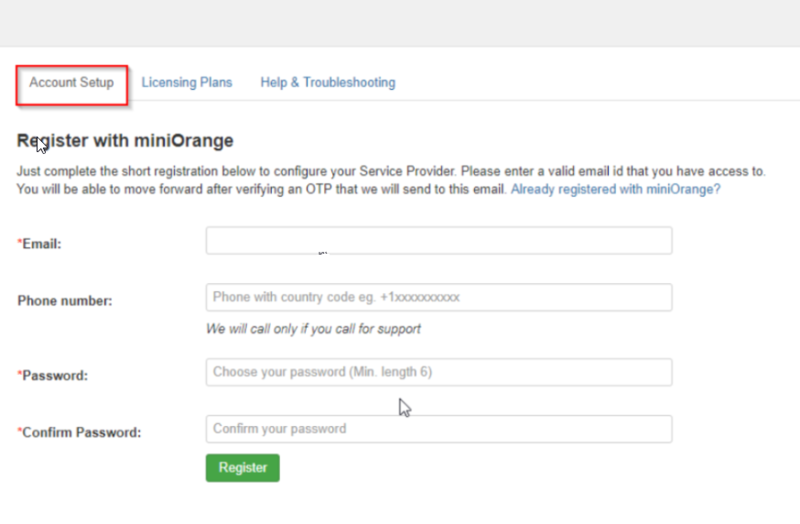 If you don't find what you are looking for, Please contact us at info@miniorange.com or call us at +1 978 658 9387 to find an answer to your question about Single Sign on or Strong Authentication.